Nikon Coolpix 2100 Manual is aimed to fulfill the needs toward information of both technical or instrumental issue among this digital camera product especially for Nikon Coolpix 2100. The Nikon Coolpix 2100 features both a real-image optical viewfinder and a 1.5-inch color LCD monitor. The camera’s 3x, 4.7-14.1mm zoom lens (equivalent to a 38-114mm lens on a 35mm camera) offers maximum apertures from f/2.6 to f/4.7, depending on the zoom setting. The camera uses contrast-detection autofocus in normal mode, which ranges from 1.0 feet (30 centimeters) to infinity. When Nikon Coolpix 2100 was firstly released to the market? How much the price when Nikon Coolpix 2100 firstly released? Nikon Coolpix 2100 is a very flexible point-and-shoot camera, with just enough features to produce great images with little hassle. It was announced on February 18, 2002. In the first release, The Nikon Coolpix 2100 pricing set at about $249.00 body-only. Now, if you’re interested to own this compact digital camera device, you can get it in several online stores by paying $49.99 for Nikon Coolpix 2100 2MP Digital Camera with 3x Optical Zoom of the used products. 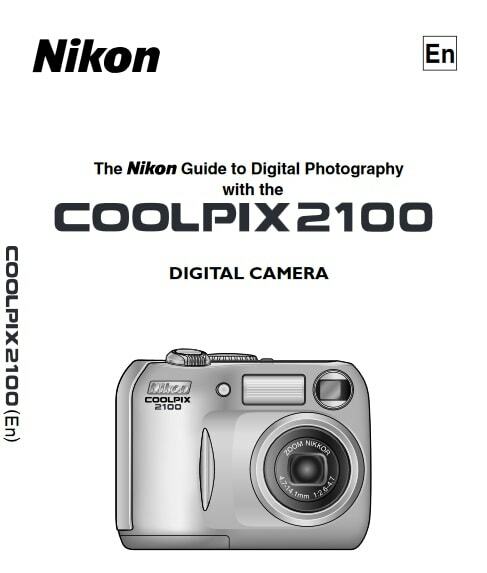 Feel free to download the nikon coolpix 2100 manual user guide at below.